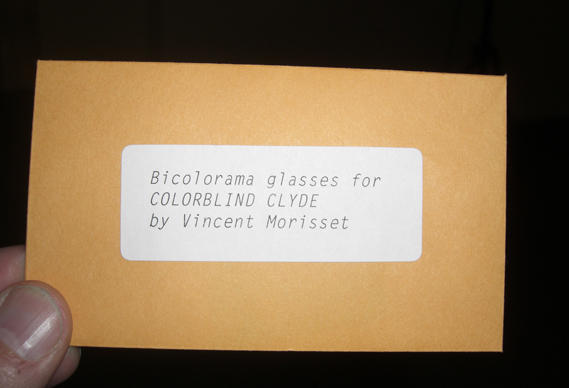 Colorblind Clyde is a lo-fi interactive film that can be experienced by multiple people at the same time. 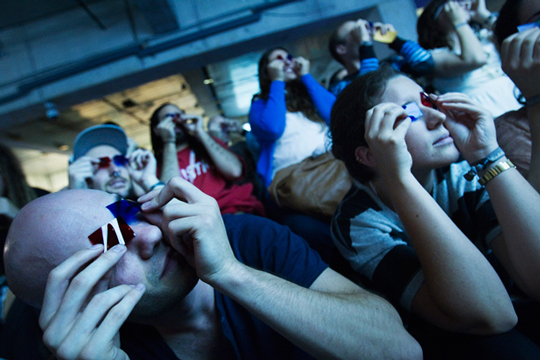 To watch it, you need special glasses. I call the technique, BICOLORAMA. at the Festival du Nouveau Cinema of Montreal.